I discovered the late-night radio talk show Loveline, with Adam Carolla and Dr. Drew Pinsky, just before Christmas 1999. I was in eighth grade and starting to assert personal independence. With the benefit of hindsight, it's difficult to overestimate how important that discovery was because hearing frank and explicit discussion of sexual matters helped me realize, understand, and accept my own maturation process, both physical and mental. I suspect I'd be a very different person today had I not randomly encountered that broadcast while scanning the radio dial that night. Like many adolescents, I used musical preference as a way to establish an identity, or at least the beginnings of an adult identify. I suspect many of a certain age connect The Beatles with this process, one major reason they're still so popular a half-century later. And Loveline would frequently feature guests, including many pop bands who were promoting their recent records. One night, I turned on the radio and heard for the first time a band called Stone Temple Pilots. They played a song called 'Sour Girl' from their 1999 album ​No. 4, which immediately captivated my 14-year-old ears. One of the first things I noticed was the change in key between the verse and chorus. The former seems to be in D major while the latter is in C major. What particularly captures my current attention is Robert DeLeo's bass line, which, by often playing the third and fifth of the tonic D major chord, constantly undermines any authoritative tonal conclusions about the verse. 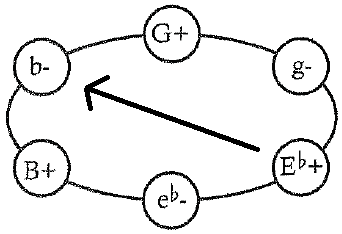 This is an example of what Mark Spicer calls a "fragile tonic", in which “the tonic chord is present but its hierarchical status is weakened." 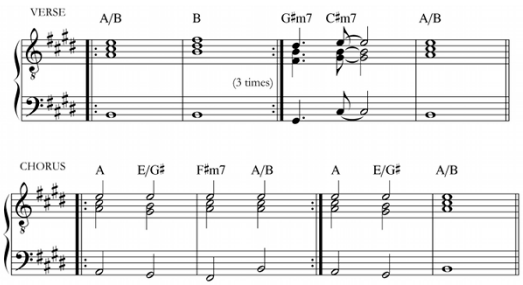 DeLeo's bass line is also what determines the BbMM7 chord (bVI in D) that appears near the end of each verse, differentiating that particular progression from the D minor chord that appears earlier in the same location. 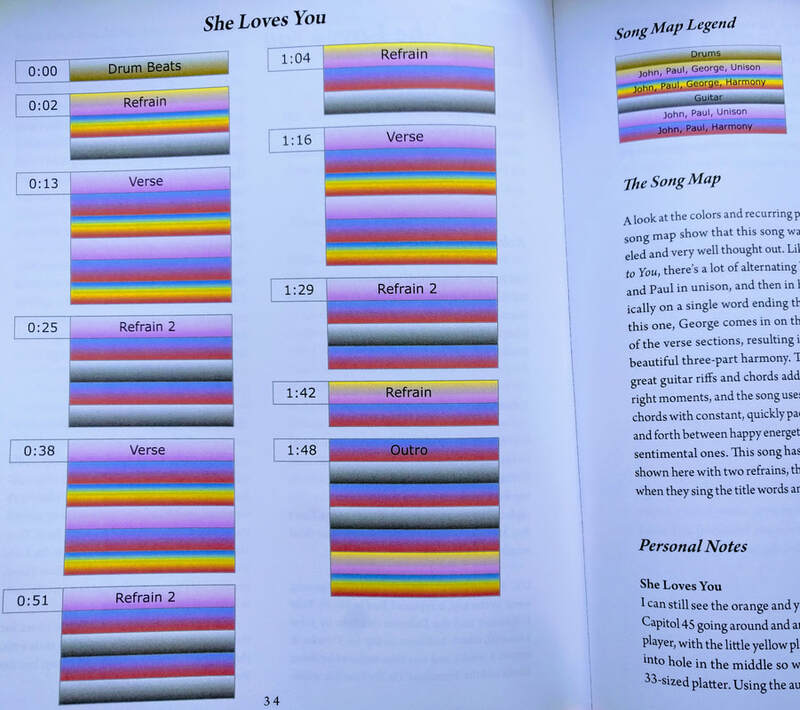 By altering the bass line, DeLeo also alters the progression, changing things up to keep a listener engaged. Even more fascinating is the harmony. That BbMM7 chord in the verses foreshadows the Bb that initiates the chorus. This time, however, because of the key change to C major, Bb is now bVII instead of bVI. While Bb moves to F in both the verse (bVI-bIII) and chorus (bVII-IV), in the verses that F proceeds to G (IV), while in the chorus it resolves to C (I). It's a great example of what I call "multifunctional harmony", where the same chords can function in different ways, even within the same song. Lastly, and most important, the harmony is also heavily chromatic. 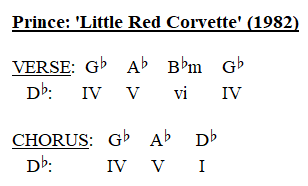 The intro riff and chords employ 10 of the 12 tones (only C# and G# are absent). While the progressions from F-C and C-G are extremely common, the move from Eb major to B minor is striking and most unusual. This is what Richard Cohn calls a "hexatonic pole" because it jumps across the hextonic cycle - in other words, it's as far away as you can get and still be in the same hexatonic cycle (Cohn, p. 18). Hexatonic poles are exceedingly rare in pop music - I cannot think of any examples. 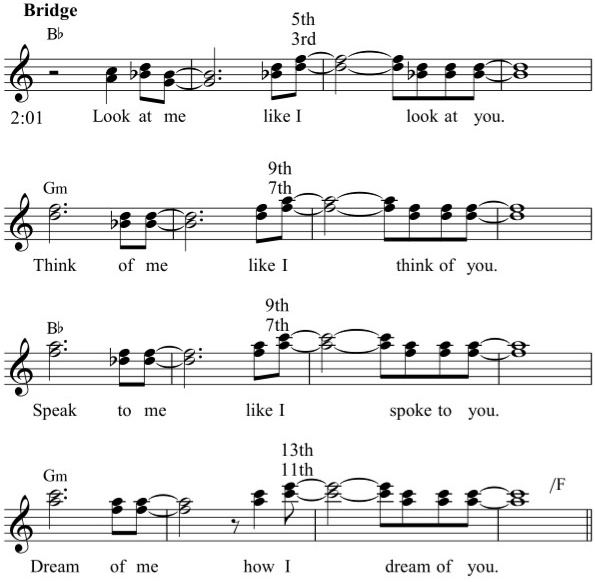 The closest I can think of is The Beatles' 'Michelle', which uses a similar but not identical progression from Eb6 (Eb-G-Bb-C) to B°7 (B-D-F-Ab). So 'Sour Girl' is, at least to my knowledge, the first pop song to employ a hexatonic pole. Cohn, Richard. 2012. Audacious Euphony. Oxford University Press. Trevor de Clercq, Assistant Professor in the Recording Industry faculty at Middle Tennessee State University, authored an article titled "Measuring a Measure: Absolute Time as a Factor in Determining Bar Lengths and Meter in Pop/Rock Music" in 2016. This blog is a summary and critique of that article. The article opens with three different transcriptions of The Beatles' 1966 'Norwegian Wood (This Bird Has Flown)'. To be clear, they are all correct, even thought they all employ different time signatures. 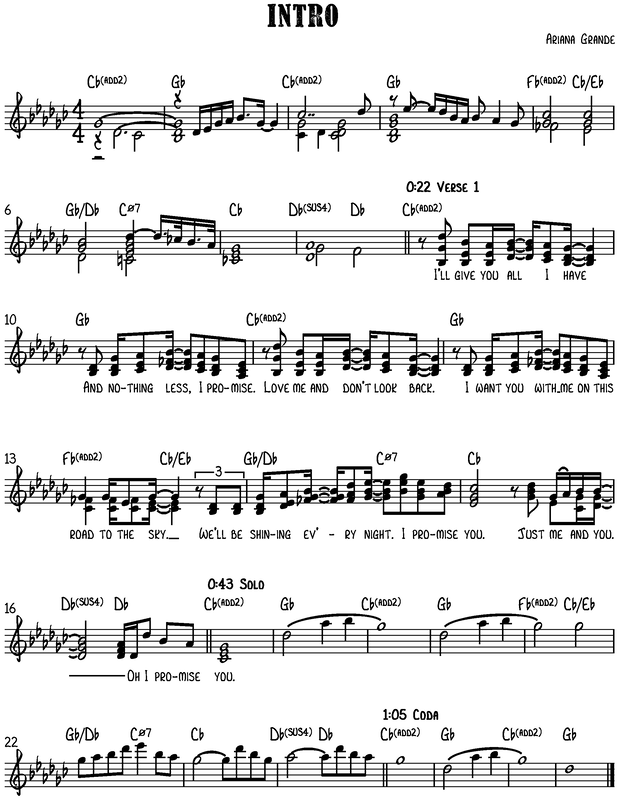 Had The Beatles written down their songs as sheet music, we could use whatever meter that sheet music used as the definitive interpretations. However, with no such "official score" available, de Clercq ponders, "Is one of these time signatures more appropriate than the others?" And to answer that question, he posits "that absolute time plays a significant role in determining our perception of meter". He further suggests that "about two seconds" is the best ballpark absolute duration per measure. In other words, if you have to chose between multiple valid options for an ambiguous meter, your default interpretation should be that which is closest to two seconds, which he considers the Goldilocks zone: not too short, not too long, but just right. Applying that principle to 'Norwegian Wood', the best choice would be 6/8, which, at 60 bpm, yields precisely two seconds per measure. Having objectively summarized de Clercq's main point (the "two second rule"), I'll now subjectively critique the essay. To do so, I will distinguish between the content of the article and the presentation of that content. The content - mainly that two seconds per measure should be the default duration when transcribing rock music - I find valid and compelling. I will certainly adopt this "two second rule" whenever I'm analyzing pop music in the future. That being said, I find the same problem I often encounter in academic essays in the presentation - mainly that it's too long and too complicated. I'm a firm proponent of the "less is more" writing philosophy - that authors should write only enough to effectively articulate their meaning because writing any more than that is superfluous! But the academic approach to writing, as witnessed in this essay, seems to be "why write three pages when you could write forty pages saying the same thing?" This is overly-formal, meaning it's formal to the point of inhibiting understanding. And as professional educators, aren't academics supposed to facilitate learning, rather than impede it? I'm guessing that de Clercq would counter my criticism by saying he wants to be as thorough as possible, and that's why he included 19 pages of examples. And of course he needs to be thorough, and he certainly needs to demonstrate that thoroughness. Yet he could've written an economical four page article (instead of fourteen) with a substantial appendix that would both exhibit his meticulous research and analysis while also "tightening up" the essay by omitting the nonessential material. Though I regard the content of this article highly, I find the presentation problematic. In short, the content, while valuable, is not substantial enough to justify the verbose presentation. And so I return, once again, to "less is more": A more concise delivery would only make this essay better.